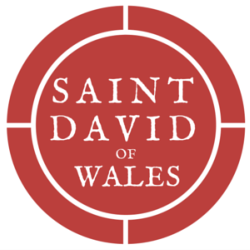 ​​​On-line giving to Saint David of Wales is safe and secure. It's easy for one-time gifts, offering, and pledges. Use your credit or debit card, or pay directly from your bank account. Transactions are protected by Vanco, a leading processing vendor that specializes in church donations. Your connection is encrypted with SSL, the latest internet security protocol. You can set-up automatic recurring payments or simply make a one-time donation to the church's special funds, including memorials. You can view or print a permanent record of your giving. All electronic payments are entered each month into your personal record at Saint David's. ​more thing off your To-Do List. You can help us earn rewards just by doing your regular Fred Meyer shopping and using your Fred Meyer Rewards card. To enroll, visit www.fredmeyer.com/communityrewards and click “Link Your Rewards Card Now”. You can find Saint David’s by searching by name or by our assigned non-profit number - VA290. You will still receive your rewards points, rebates, and fuel points just like you do now. Support Saint David's when you make purchases on Amazon!